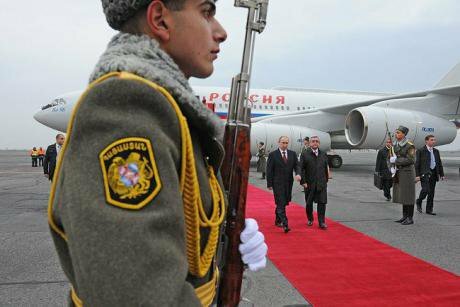 Early last year Armenia entered into accession talks with the Russian-led Customs Union – a precursor to the EEU. But does this path hold the key to greater economic prosperity for Yerevan or is it just a dead end? In early September of last year, Armenia’s policymakers were weighing up two competing economic blocs. On the one side the European Union, with which Armenia had recently completed protracted negotiations on a far-reaching Association Agreement; on the other prospective membership of the Russian-led Customs Union, itself a trade-oriented precursor to another EU, the Eurasian Union. With Armenia’s geopolitical orientation seemingly in the balance, the policymakers abruptly chose to back away from closer integration with the European Union and quietly opt out of the impending Association Agreement due to be signed in Vilnius that November. Concurrently Armenia moved at the last minute to enter into accession talks with the Customs Union. Armenia's policy-makers opted against the EU Association Agreement in favour of the Russian-lead Customs Union. Though Armenia would appear to have cast its lot, French President François Hollande has suggested that Customs Union membership need not preclude Armenia from developing a parallel economic relationship with the European Union. Hollande’s comments implied that, despite Armenia’s stated commitment to joining the Customs Union and previous declarations by representatives of Brussels that Customs Union membership was incompatible with expanded trade ties with the EU, Yerevan could still have it both ways. But can it really? The Russian-led Customs Union, itself a trade-oriented precursor to another EU, the Eurasian Union. What does Customs Union membership mean for Armenia? Does it constitute a narrowing of horizons or a restorative tonic for the country's struggling and blockaded economy? More pointedly - once the Customs Union, and later the Eurasian Union’s, policies and procedures incrementally come into force, what are the long-term implications for Armenia’s sovereignty? A Customs Union summit between the Presidents of Russia, Belarus and Kazakhstan in Minsk on 29 April was intended to produce the final draft of a landmark union treaty leading to the three ex-Soviet states formally agreeing to turn their tripartite trade bloc into the Eurasian Economic Union (EEU). The expected formative treaty draft conspicuously failed to materialise: reports cited issues with the pact’s wording and intimated concerns over the fairness of the deal for the proposed union’s lesser economies, Belarus and Kazakhstan. Some of the more intractable issues may be unceremoniously kicked into the long grass. It seems likely that some of the more intractable issues may be unceremoniously kicked into the long grass to preclude further delays to the treaty’s signing. The EEU is now expected to be signed into existence in late May, with its official adoption and launch to follow in January 2015. Presently both Armenia and Kyrgyzstan are tentatively scheduled to join the Customs Union at some point in 2014; the former has to date been expected to synchronise its accession to the bloc with the treaty signing ceremony either in late May or in June. The failure of the April Customs Union summit to produce a concrete treaty ready for presidential ink has cloaked Armenia’s prospective membership in some uncertainty, with one Armenian official noting that Armenia might sign up to the EEU outright, foregoing precursory Customs Union membership entirely. Armenia’s dramatic turnabout decision to move towards Customs Union membership is most commonly attributed by western pundits to a campaign of sustained pressure from Moscow. Increasingly concerned with developments in neighbouring Ukraine post-Euromaidan, and hostile to soft power intrusions into the former Soviet space, Russia made clear its disappointment with Yerevan’s pursuit of an Association Agreement with Brussels. Armenia, dependent on Russia for energy, regional security and trade, and thus arguably hostage to Russian geopolitical interests, duly acquiesced. 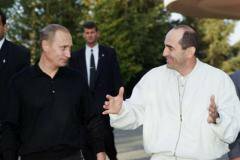 Putin has remained on good terms with Armenia's former president Robert Kocharian. Photo cc: Presidential press officeHowever, as some observers have noted, there’s probably more to this picture than might meet the eye. Armenia’s President Serzh Sargsyan presides over a struggling economy and there has been significant domestic opposition to his government since contentious elections in February 2013 saw street protests dispute the legitimacy of his re-election to a second term. Yerevan’s hurried change of heart may have been prompted as much by Sargsyan’s sense of acute political vulnerability as by Armenia’s strategic dependency on Russia: Sargsyan was seeking to shore up his position with near-term economic rewards from Moscow and to forestall Russia’s possible fomenting of a more pliable client (the Kremlin boasts ties with the main opposition Prosperous Armenia Party, former President Robert Kocharian and allegedly with dozens of MPs from the ruling Republican Party). Armenia has received relatively little for signing up to Russia’s grand project of regional integration. To date Armenia has received relatively little in return for signing up to Russia’s grand project of regional integration. This reflects the profound position of weakness from which Armenia must negotiate with her patron. There are three core geopolitical drivers to the Russo-Armenian relationship and all of them are weighted in Russia’s favour: the supply of Russian energy to Armenia, the access of Armenian citizens to the Russian labour market, and Russia as Armenia’s security guarantor in the face of Azerbaijan’s revanchist aspirations. Russia is Armenia’s second largest trading partner (after an aggregated EU), accounting for 22% of Armenia’s foreign trade last year. Crucially a disproportionate share of this trade takes the form of Russian energy exports, mostly natural gas. Russian natural gas heats Armenian homes, generates more than one-third of the country’s electricity and powers most of Armenia’s vehicle fleet. Azerbaijan, Armenia’s energy-rich eastern neighbour, has maintained a determined policy of economic blockade since the conflict over the disputed but predominantly ethnic Armenian Nagorno-Karabakh region which began in 1988. Iranian energy remains Armenia’s only workable alternative to imported Russian supplies, a route hitherto limited by inadequate infrastructure and Russian obstructionism. Since Armenia’s move towards joining the Customs Union gathered pace, Russia’s Gazprom has backed away from raising gas prices while strengthening its control of the Armenian energy sector (Yerevan has divested all government-owned shares in ArmRosGazProm – a national entity that owns and operates Armenia’s pipeline network). Meanwhile in March a plan was formulated to increase dramatically the quantities of Iranian natural gas imported by Armenia. This hastily contrived arrangement should bring Armenian energy prices down in the near future while Yerevan stands to profit from the exporting of electricity back to Iran. It seems likely that the announcement was made with Russian connivance – late last year Iranian entreaties to affect a similar deal were coldly rebuffed by Yerevan. Remittances from Armenians working in Russia currently account for some 16% of Armenia’s gross domestic product; the number of Armenians seeking work in Russia has steadily increased in the wake of mounting economic pressures at home. Presently there are reportedly more than half a million Armenian citizens working legally in Russia. Securing access to this labour market is a priority for the Armenian government: unemployment at home is high and more than a third of the population live below the poverty line, so migrant labour is a form of cross-border life support. Russian legislators acutely brought the issue to the fore with the introduction of new Russian labour laws that required migrant workers with short-stay visas to rotate out of the country and back to their homeland every three months. The legislation seemed a sharp-elbowed effort at reminding those countries with significant numbers of migrants working in Russia that Customs Union membership (and consequent lifting of labour and travel restrictions) was not without its benefits. Significantly, the Eurasian Development Bank estimates yearly remittances could increase by $40 million. Armenia faces a whole array of problems…emigration, unemployment and poverty. Paradoxically, joining a common economic space with open borders carries risks for Armenia as well. Declining birth rates, a tradition of gender-specific abortion and high levels of emigration present Yerevan with a serious demographic challenge. Moreover, Moscow, confronting a demographic deterioration of its own, has enacted a new citizenship law which grants Russian passports to ‘residents of former Soviet territories who can demonstrate they speak Russian fluently and habitually’. Previously Yerevan had unsuccessfully lobbied for Moscow to scrap similar but less far-reaching schemes seemingly aimed at poaching Armenia’s citizenry, but the ongoing Customs Union negotiations have meant that the Armenian government has found itself with little room to manoeuvre. In accordance with the Customs Union’s requirements, Armenia will be obliged to raise import and export tariffs to match those of Russia, Belarus and Kazakhstan. The higher customs duties levied by the other Customs Union states could markedly increase the cost of importing goods to Armenia, with the cost of living spiking upwards in lockstep. Consequently the Armenian government is purportedly arguing for exemptions from import duties on hundreds of goods such as foodstuffs, drugs, cars and construction materials. The reigning uncertainty over the exact date of Armenia’s joining of the Customs Union may stem from protracted negotiations to obtain what are, from Yerevan’s perspective, vital concessions. Besides Russia, an array of Armenia’s main trading partners are not, nor are they ever likely to be, members of the Customs Union (the roster includes Germany, Iran, the United States, China and Ukraine). More problematically for Yerevan, Russia has stated that goods originating from outside the Customs Union coming to Russia through Armenia will be subject to customs duties and tariffs. The absence of a lasting resolution to the Nagorno-Karabakh conflict and the escalating arms race with oil-rich Azerbaijan that Armenia can ill-afford, mean that Yerevan’s alliance with Moscow is critically important. Without the implicit backing, diplomatic and military aid afforded by Russia, Armenia’s national security would undoubtedly be jeopardised. From Moscow’s perspective the benefits of a passive alignment with Armenia, namely a longstanding military presence in the South Caucasus, ensure that Russia stands to gain little from a successful re-conquest of the disputed territories by Azerbaijan. Bearing in mind Russia’s regional interests, this fundamental component of their strategic relationship might well have remained unchanged, had Armenia declined to join the Customs Union. Russia’s state-owned Gazprom’s 100% absorption of the Armenian government’s shares in ArmRosGazProm (and with it Armenia’s entire gas pipeline network) is emblematic of Russia’s strategy of pursuing leverage in its near-abroad i.e. the remnants of Moscow’s previous imperial enterprises. It is in all probability fairly indicative of what Armenia can expect from a deepening relationship with Moscow. Armenia effectively surrendered the possibility of developing an independent energy policy in exchange for cheaper natural gas deliveries. 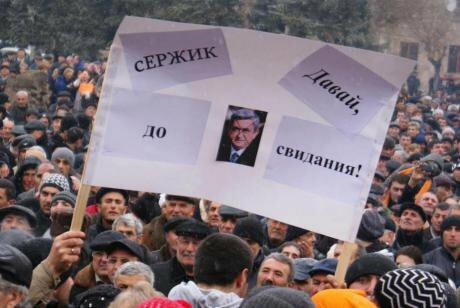 How difficult would it be for Yerevan to unilaterally reverse this decision now? Long-term prospects have been auctioned off, arguably cheaply, for near-term gains. Russia has actively sought to increase Armenia’s dependency, leaving Yerevan holding fewer and fewer cards. The Armenian government's capacity for sovereign decision-making has been progressively diminished over the years, probably owing more to unfavourable geography than irresistible Russian overtures. Nevertheless, the Customs Union may prove to be Armenia’s point of no return.